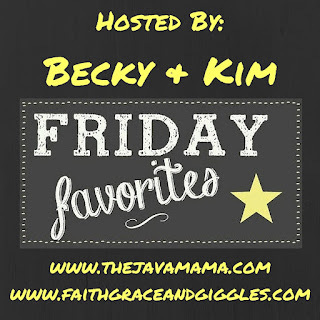 We're continuing our Friday Favorites series with the topic of Where You Live... so join us and write a post about what your favorite things are about where you live. 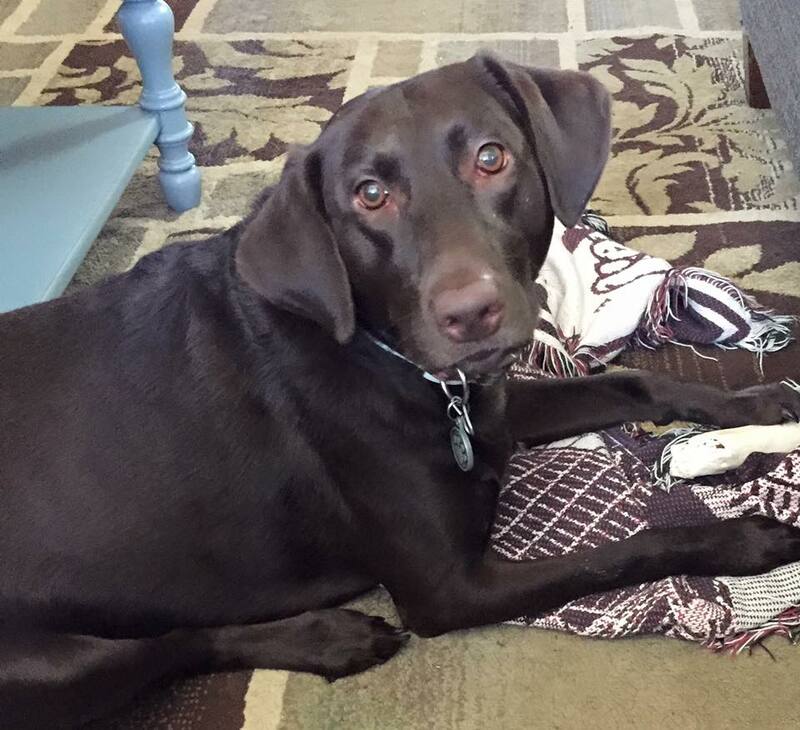 I live in Cypress, Texas... so let me tell you a few of the really amazing things that are around here. 1) It's homecoming time around here, and in Texas we really take it to the next level. 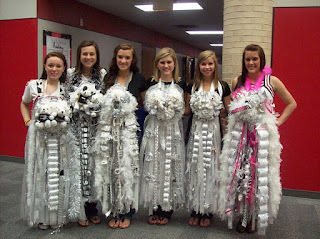 Have you heard about the homecoming mum? These things were insane when I was younger, but they've only gotten worse. I mean these things can really mess with your neck from the weight of them. 2) Community spirit, in the wake of the shooting of one of our local sheriff's officers the community has come together in incredible ways. We could have rioted, but we've peacefully come together to rally around our law enforcement community. I hate that we've even been put in this position, but I'm incredibly proud of how we've come together. This photo was taken about a week or two ago at one of the Marches for Unity -- there were 18 to 20 thousand people marching in this, and it truly was a beautiful site. 3) Size, I live in the Greater Houston area... and when I tell you it's the 4th largest city in the country -- that doesn't really mean much. So what if I showed you the size of Houston compared to the size of the state of Connecticut!? It's incredible. 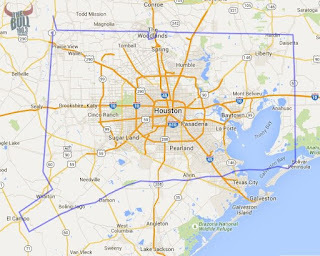 Connecticut is the purple line around the outside of the Houston area on the map. 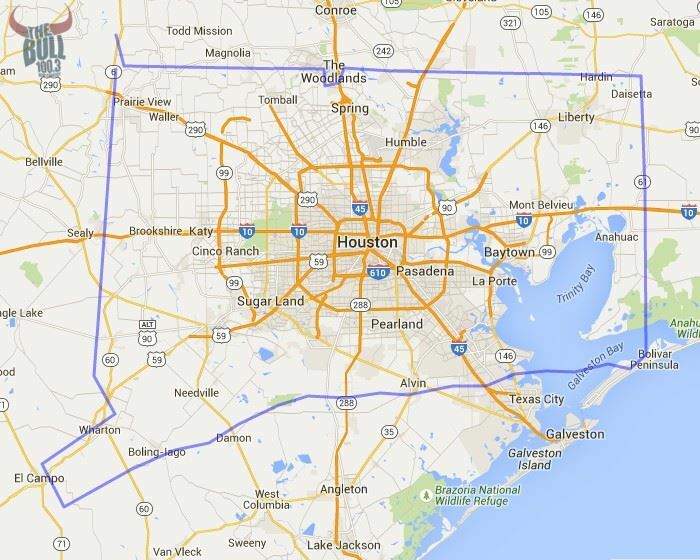 If you enlarge the map, I live in the far northwest corner -- sort of around where Tomball is. 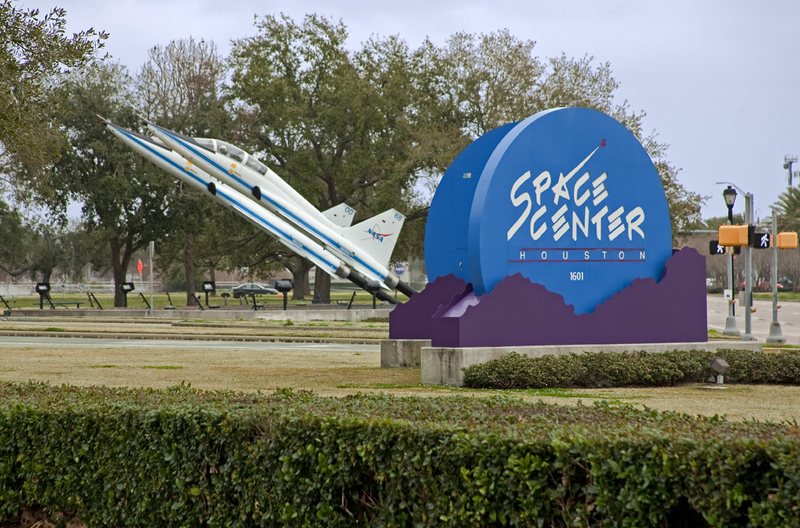 4) We have it all around here, but one of the nicer things that most other places don't have would be Space Center Houston. I haven't been in a long time, but it really is a nice place to visit. 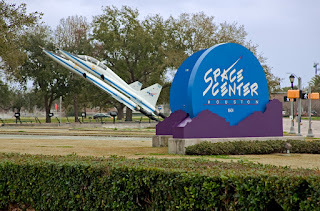 It just happens to be about an hour and a half or more from our house... but I'd really like to take the boys down there when they get a little bit older and have a concept of space and planets. 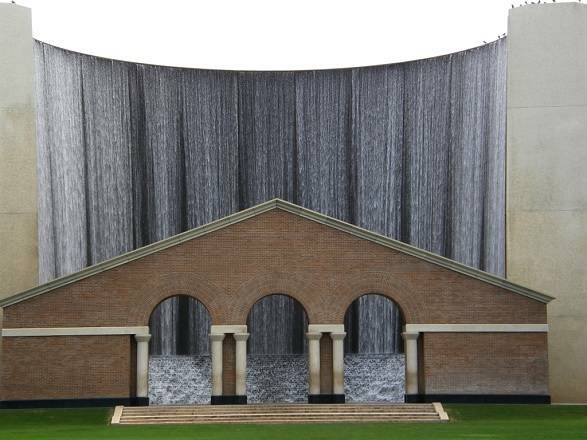 5) The Waterwall. I spent many evenings and afternoons at this structure when I was in high school... it's really breath taking. It sits just behind the Houston Galleria, and is this horseshoe-shaped wall with 11,000 gallons of water cascading per minute an amazing feat of design, but it will truly make you appreciate the power of water—plus it will make you really thirsty. Pro tip: make a bathroom stop before you visit. 6) The Houston Livestock Show and Rodeo. This is a 3 week long event in Houston every February/March. It's one of the largest in the world, and is not only a great way to celebrate our Texas roots... it's also an incredible concert event every night. (Some days there are even two concert shows!) Some of the biggest names in the music world... not just the country music acts, there are also Tejano acts and some pop/R&B acts that come as well. It's set at the nrg stadium where the Houston Texans play... so it's a very big draw. There is also a large livestock show, and carnival as well. I meant to keep it at 5 things, but I couldn't forget to include the Rodeo. 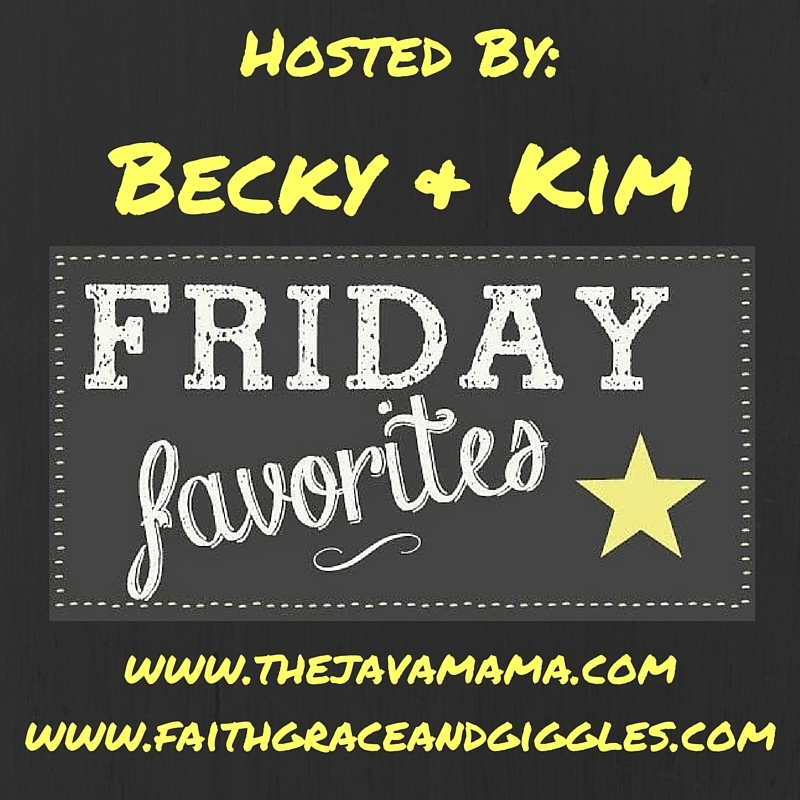 It's one of our favorite things to do with the boys! 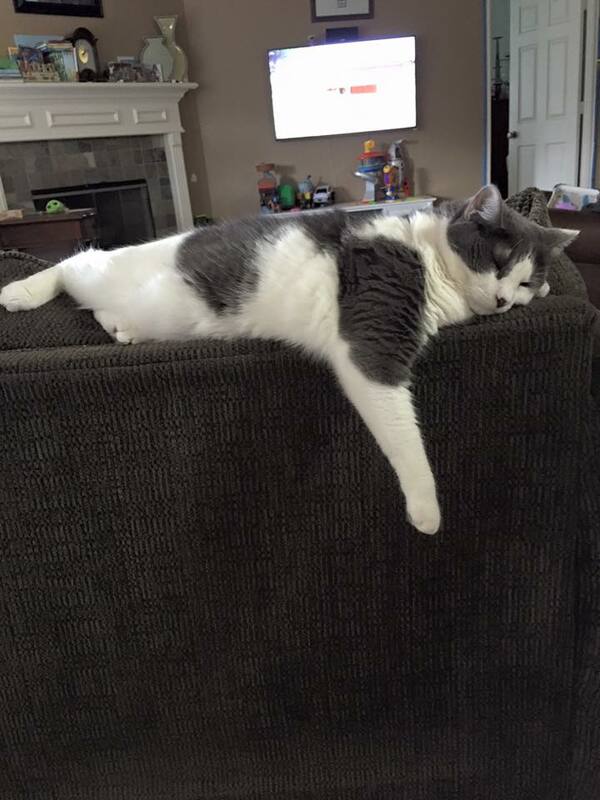 We would love for you to post and join in this fun... maybe teach us what is cool around where you live. 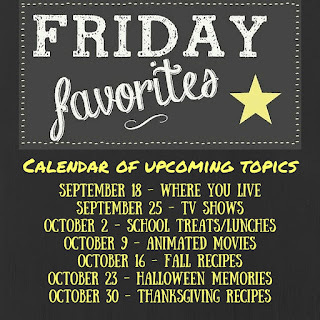 Then join in next week when we share our Favorite TV Shows for the new fall season. 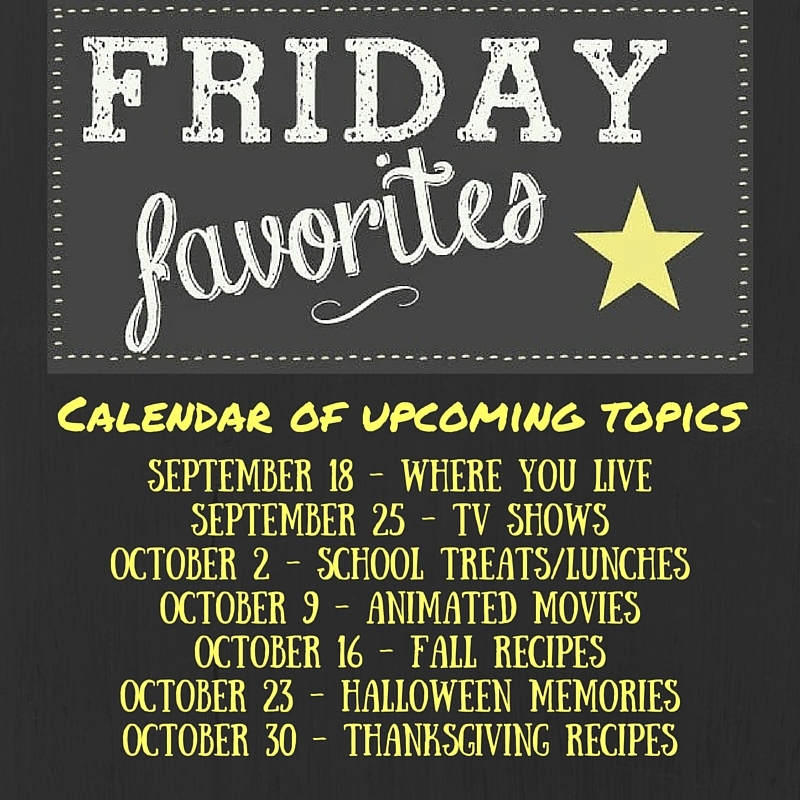 Take note of this calendar and it'll give you the topics for the next several weeks.